I confess that Alessandro Dell'Acqua does not usually have me feverishly waiting for each new season's revelations, but Fall 2007 had some booties with plenty of temptation to lure me through those doors. BRUNO FRISONI Gray and gold grosgrain ribbon stiletto. 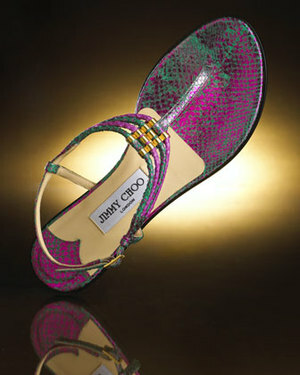 A girl can never have enough shoes and if anyone happens to have $5,000 lying around, then these shoes are a style must!